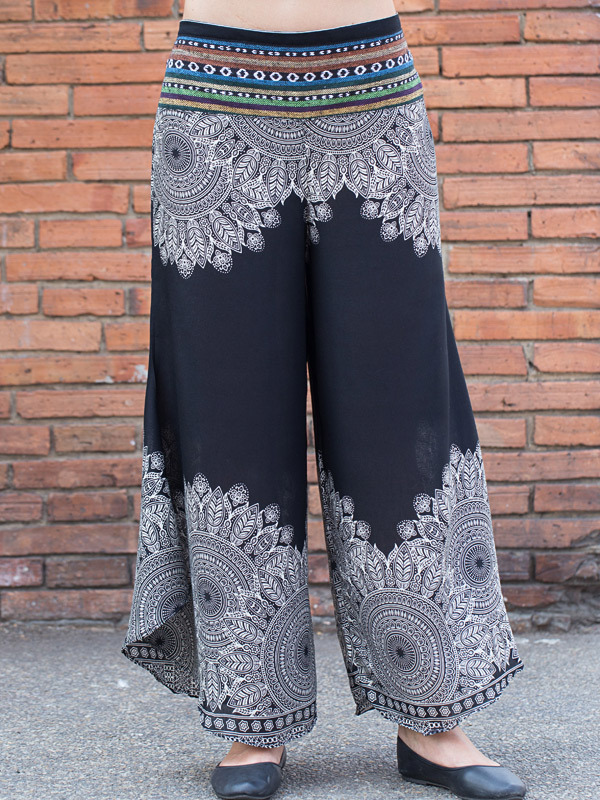 Loose flowing and super-comfortable pants fitted at the waist and elasticized in back. 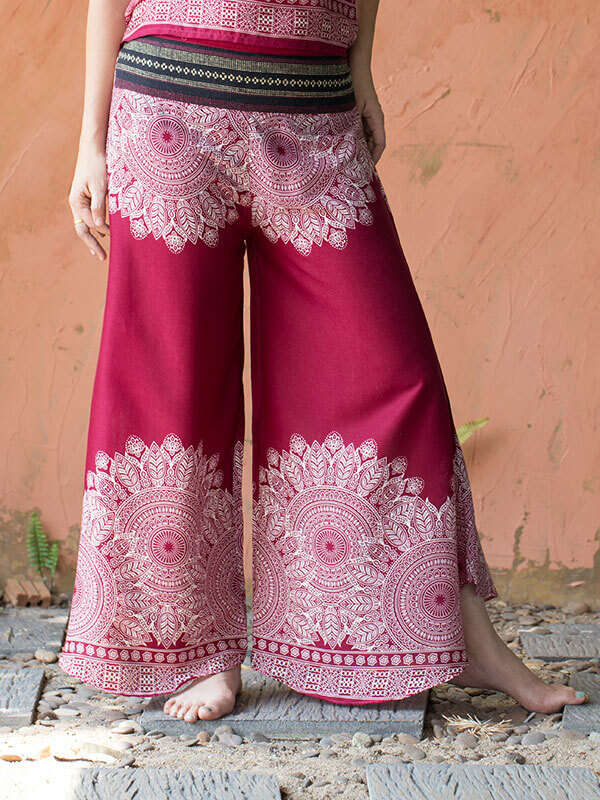 The trousers drape into full, skirt-like open legs. Made with a blend of cotton and rayon to maximize a smooth touch and ease of care.